Born: 2 July 1870, Antigua, West Indies. Died: 16 December 1947, Durban, South Africa. William Elsdon-Dew, electrical and mechanical engineer, received his technical training at the Finsbury Technical College, London. In due course he became a member of the (British) Institution of Electrical Engineers (MIEE), the Institution of Mechanical Engineers (MIMechE), and the Institution of Civil Engineers (MICE), as well as a Fellow of the American Institute of Electrical Engineers. In 1895 he emigrated to South Africa and was appointed engineer to the Transvaal Gold Exploration and Land Company. At some time during the next few years he installed a hydro-electric plant near Pilgrim's Rest, which at the time was the largest of its kind in South Africa. In 1908 or 1909 he settled in Johannesburg as resident engineer to the Witwatersrand Deep Gold Mining Company. Subsequently he was appointed assistant consulting electrical and mechanical engineer with Rand Mines, Ltd, and in May 1918 became their consulting electrical and mechanical engineer. He held this appointment until his retirement in 1944. 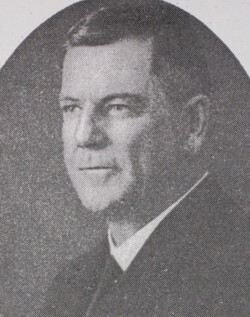 Elsdon-Dew was a foundation member of the South African Institute of Electrical Engineers, was elected as its first (joint) vice-president in December 1909, served as president for 1914, and published several papers in its Transactions: "Notes on the erection and maintenance of electrical plant on a gold mine" (1910); "Water power plants, with special reference to Belvedere power plant, Pilgrim's Rest" (1913) - a paper for which he received the institute's gold medal; "Notes on the electrical plant, Swaziland Tin, Ltd, M'Babane" (1915); "Lightning damage to insulators, etc." (1915); "Manufacture of calcium carbides and electrodes in the Transvaal" (1922, with W. Alderson); and "The 20 kV underground transmission system at Crown Mines Limited" (1929, with H. Denehy). The institute elected him an honorary member in 1946. He was one of the institute's representatives on the controlling executive of the Associated Scientific and Technical Societies of South Africa and served as president of the latter in 1923 and in 1925. In 1923 he, with Leslie Pryce and Leon Byron Woodworth, obtained a United States patent for an improved method of heating rock-drill bits. Elsdon-Dew became a member of the South African Association for the Advancement of Science in 1914 and published a paper on "A few statistics regarding the use of electricity on the Witwatersrand" in the association's Report for that year. He was a member of the South African Institution of Engineers and served as its president in 1919/20. In 1934, at the formation of the South African Standards Institution, he became chairman of the institute's Mechanical Engineering Committee. After his retirement Elsdon-Dew moved to Durban, where he died a few years later. During his last years he offered two bursaries for apprentices in electrical and mechanical engineering at the University of the Witwatersrand. He was married to Jessie Hamilton Gregory Rankin, with whom he had three sons: Arthur Ernest, who became an electrical engineer; David William, also an engineer; and Ronald, who became a pathologist. Associated Scientific and Technical Societies of South Africa, Annual Proceedings, 1971-1972, p. 5, Past presidents. Google scholar. http://scholar.google.co.za Publications by W. Elsdon-Dew. National Automated Archival Information Retrieval System (NAAIRS). http://www.national.archives.gov.za/naairs.htm Documents relating to Elsdon-Dew, William. Obituary: William Elsdon-Dew. Transactions of the South African Institute of Electrical Engineers, 1948, Vol. 39(1), p. 41. Orr, John. Presidential address. Associated Scientific and Technical Societies of South Africa, Annual Proceedings, 1938, pp. 15-86 (see pp. 45, 76). South African Association for the Advancement of Science. Report, 1914, paper by Elsdon-Dew; 1918, list of members. South African who's who, 1917/8, 1923/4, 1927/8, 1936, 1939, 1944, 1945. Transactions of the South African Institute of Electrical Engineers, 1909/10, Vol. 1(1), p. 5, Election of officers and council; 1933, Vol. 24(1), p. v, Officers and council... 1933.